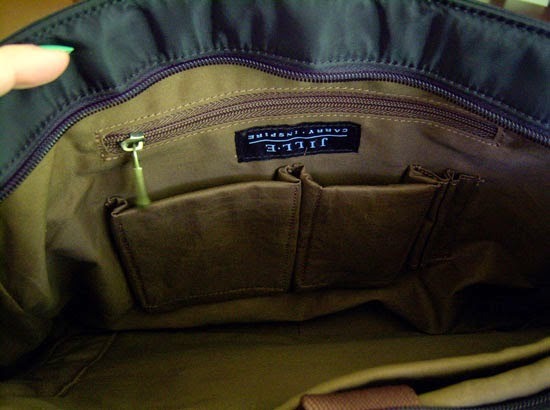 I received a free bag from Jill-e in order to facilitate an honest review. All opinions are my own. Hi. My name is Holly, and I'm a bag addict. There, I said it. I am addicted to gorgeous bags of all kinds! Surprised? Probably not, but what may surprise you is that didn't carry over to more utilitarian bags like laptop and camera bags. Why not? Because I didn't know there was a choice. I, like many people, have a ton of electronics laying around the house. We have different gadgets for different purposes: I have my desktop for graphics work, my laptop for blog work, my compact digital for everyday photos, my old SLR when I'm feeling artsy, a tablet for the family to facebook and play games on, each of us have our own reader, a kids tablet for my Little, phones, charger sticks, iPods, and holy-moly did that list get longer than I thought it would! I never realized just how much electronic stuff we use daily...until I had to pack most of it for vacation this Summer. I ended up packing my laptop and various gadgets in a laptop backpack. It wasn't cute. It was either that or a nylon messenger, I thought. I've never seen anything for gadgets that didn't look like it was made for a High School boy. After our trip, my son loved the backpack so much (surprise -_-) that he claimed it for his very own. Now, it's not that often that I have to travel with my laptop, but it's happening more and more, so I got online to try to find something that I actually liked. Was it even possible? Since you're reading this review, you know the answer is YES! 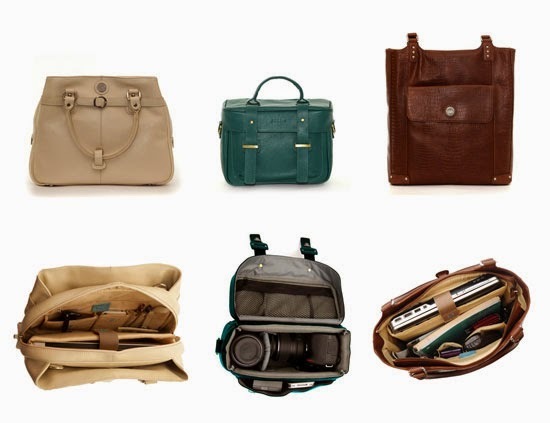 A quick Google search led me to Jill-e Designs, where they carry the most gorgeous, grown-up laptop, tablet, and camera bags! Founded in 2007, Jill-e Designs creates bags and carriers in smart and stylish designs for daily use, tailored specifically for digital and mobile devices. Today everyone has a mobile device, typically a device they can’t live without. They need a way to carry them, protect them, easily access them, and keep them organized with all of their other everyday items. We satisfy these needs. How do we do it? Originally a pro camera bag company, we combine what we learned satisfying demanding, creative photo professionals with an understanding of new trends and needs. The result is evident in every bag we make today – for mobile devices, for photo equipment, for travel, for the office, for a night on the town, for outdoors, for college, for everyday use. We offer the perfect blend of style, function, protection and classic appeal. I'm absolutely smitten. The Sasha is edgy but classic, functional meets fashionable. It's stylish without being trendy, and I can see myself carrying this bag for a long time to come. It's incredibly me, which is a weird thing to say, but if there ever was a bag that embodies my own personal style, it's this one. Minimal. Edgy. Classic. I love it. The logo is so subtle and tiny, I didn't even see it at first. That is a major Plus for me. The Sasha is a classic messenger with a twist. 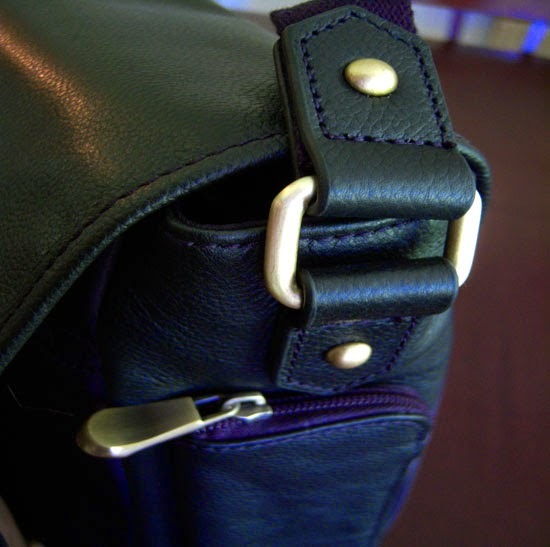 The front flap and sides are done in leather, and the seaming and front zippered pocket really make it stand out. New. Different. Both stylish and functional. You would expect the pocket to be pretty tiny, but it doesn't stop with the outer decorative seaming; It continues across the bag. All of the hardware throughout the bag is a soft, brushed gold, and it's not tacky or bling-y in the least. 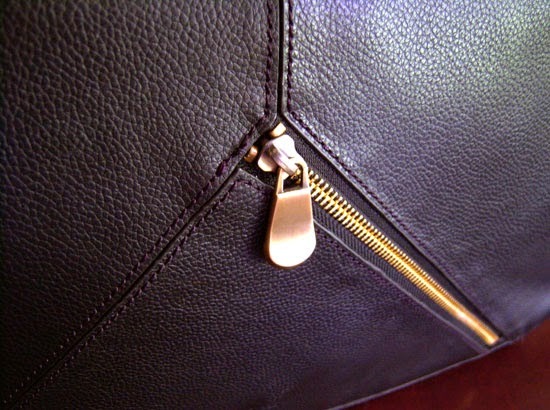 The zipper-pulls are done in a nice teardrop design that is more bulbous at the end; That translates to easy to grab and pull in a hurry without slipping. Thoughtful design. Was that everything? I'm not even sure. 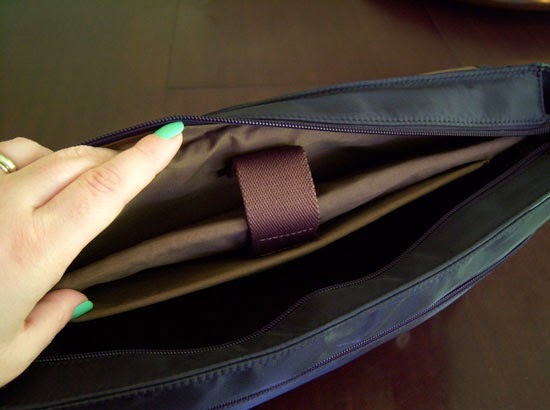 There is a place for, literally, everything you need to carry with you, and it's all so versatile: If you carry just a tablet, you can use the laptop space for your files and papers, and if you just use a laptop, you can use the tablet pocket for so many other things, and all of the interior pockets are padded! That is rare; It's usually just the laptop section that's padded, and everything else is just lined, but even the phone and sunglass pockets are padded. Again, thoughtful design. And can I say "plush"? The inner lining is so soft, you might take it for suede, but it is actually a very high-quality cotton twill. Let's talk about smart design. The side pocket opens to reveal netting. 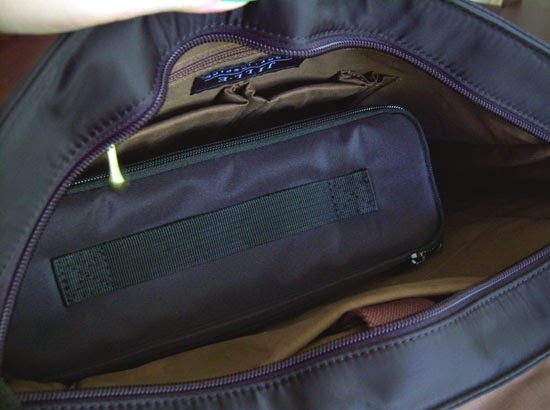 This pocket was designed to hold a water bottle, but with a difference: It can be zipped away to hide that bulky netted pocket you see on so many travel bags and backpacks. It's not attractive, and what if you don't want to use it as such? Not much of a choice since they're always an open-top pocket, and there's no way to close it short of a safety pin. 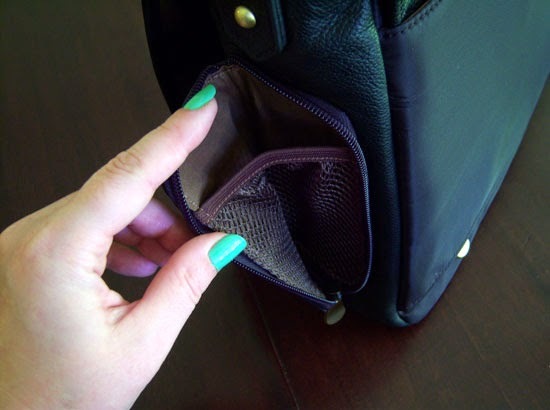 This pocket would also be great for your cords; The netting would help keep them in place! Also guys: There is a zipper at the bottom of the back pocket. What is this for? Super-fast unpacking? Nope. 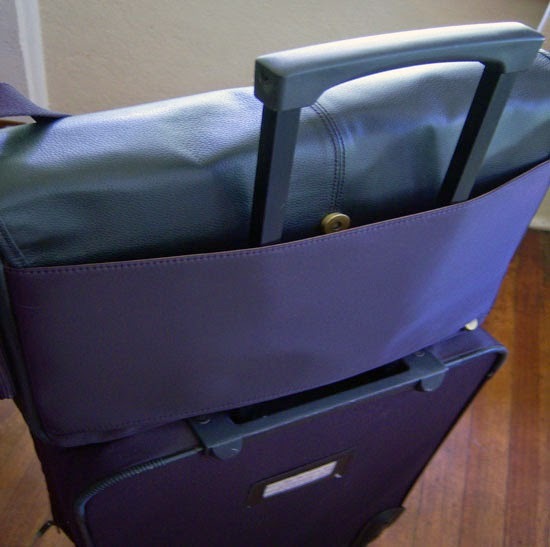 It facilitates easier traveling. I have to say, I flipped out a little over this. I can't tell you how many airports I've run through, bags a-bumping. I'm usually not a heavy packer, but long, International trips require the max number of bags for me; That includes a suitcase for checking, a rolling carry-on, a camera bag, and a large purse. Now, my large suitcase has a strap to attach other bags, but once it's checked, you're out of luck. 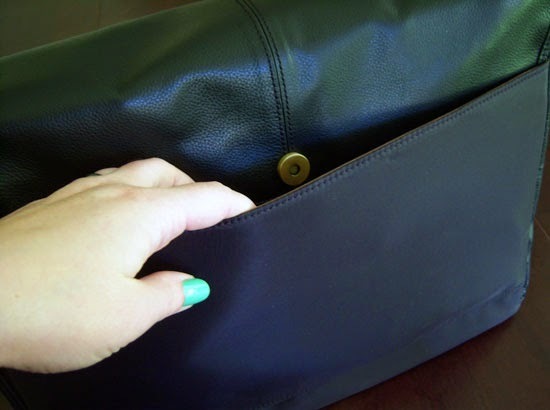 The Sasha's back pocket can be unzipped at the bottom to slip over the handle of a rolling bag. I...have no words. Why is this not on every travel bag ever? 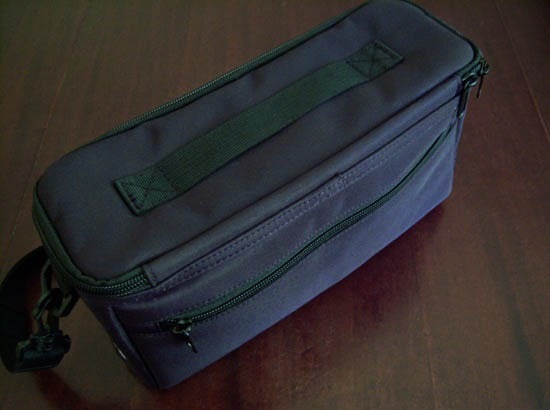 They also offer a 13" Sasha Laptop Bag: Same amazing design in a smaller package. 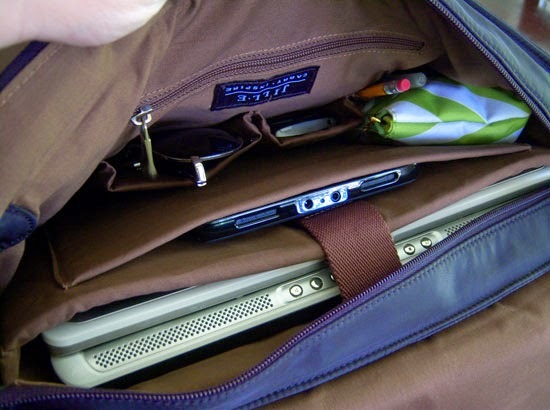 If you've got a small laptop, you really don't want it sliding around in your bag, so I love that there's an option. And if you use something like a Surface tablet, the 13" Sasha would be perfect. The Surface is made to be used as a tablet and a laptop, but is an odd size and shape, so doesn't fit in anything made for a tablet. Be warned. I was also sent a little something else. Let me show you the awesome that is the Camera Insert. 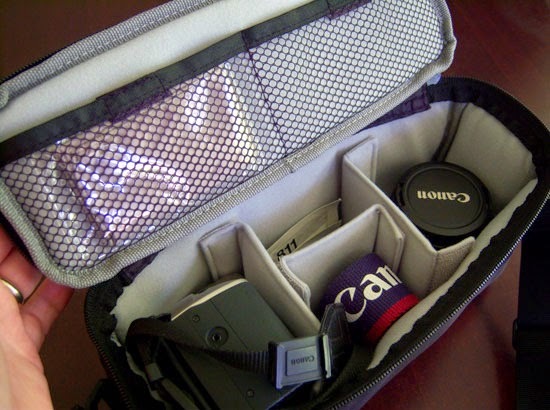 Unassuming, utilitarian, and small, the Camera Insert is designed to fit into your Jill-e bag. 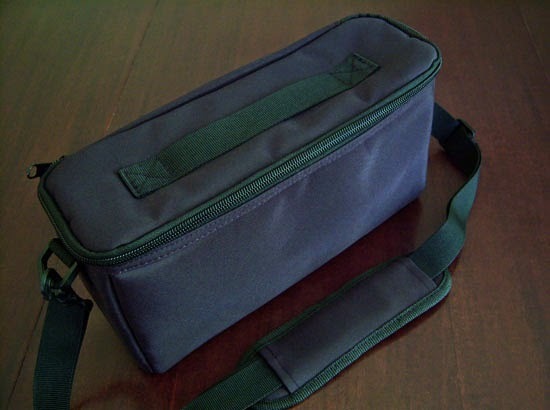 It comes with a removable and padded shoulder strap, so you could use this completely on it's own if you wanted, but it includes a handle on the top when you use it as an insert. 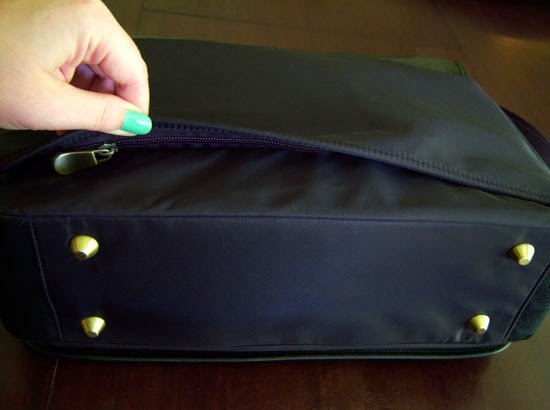 There is also a zippered compartment in the back. But what can it hold? A lot, it turns out. 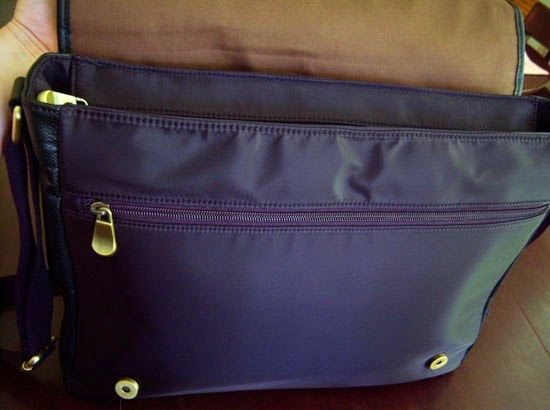 The insert features two net pockets with velcro closures in the lid, and 3 padded dividers that can be moved into any configuration that suits you. It will hold a camera body, a couple of lenses, lens cloth and cleaner, camera strap, a remote, an extra compact camera...pretty much everything you need minus the tripod. And it fits beautifully into the Sasha bag with room to spare. Is it any wonder I'm smitten? You don't want to see my old man-camera bag; It was a Samsonite Worldproof, and while it's served me well over the years, it was in no way, shape, or form, cute. 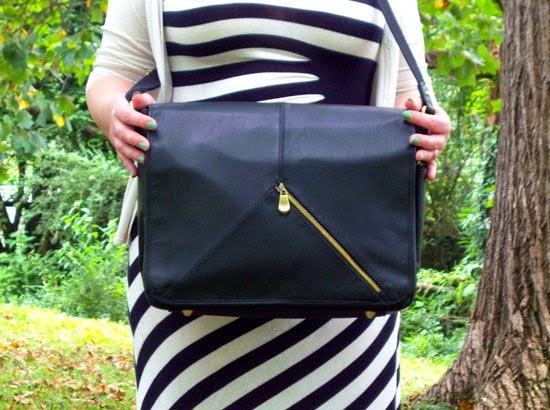 All of the bags I've shown you today are available for purchase on the Jill-e Designs website. You can also find them on Social Media: Facebook, Twitter, & Pinterest. Stop by and say "Hello!" Update: Get 20% off your order with the EXCLUSIVE discount code for Southern Mom Loves' awesome readers! Use code SMLHOL2014 until 12/19/14!